This beautiful bracelet for lightworkers has been triple spell cast for enlightenment by Gypsy Lady Luna. 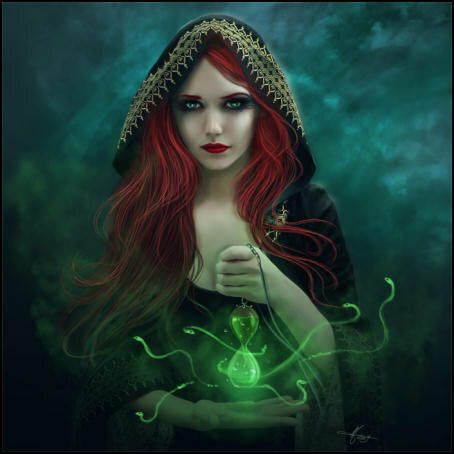 This spell came directly from her personal collection of generationally passed down magick. Wear this bracelet or just keep it near to you. The spells will help you to “see things clearly” to a new extent. Can be kept discreet so others do not realize what it is. Can be used by men or women! We wear bracelets for enlightenment very often, and we have noticed that they immediately make us feel more positive, energetic, and intuitive in finding the truth around us. For instance, we noticed that when dealing with people we are able to know much quicker whether people are attempting to deceive us, etc. We also noticed that wearing these enlightenment bracelets helped to give us more focus and maintain a good mentally healthy balance. Other clients we have had have mentioned that they, very quickly after receiving the enlightenment bracelet, they have seen a different and more truthful side to someone in their current life that was not beneficial to them. They have all also mentioned that they felt stronger in correcting those situations in their lives. The spell for enlightenment that has been cast upon this bracelet will do just that. It will help its possessor to “see the truth.” This is a time of very gray matter and many untruths in our lives. The world we live in has been incredibly corrupted by those holding too much power, and as lightworkers we are some of the first people to be seeing our way clear of those views and out of the dark we have been living in. Not to say it is going to be easy because it isn’t. Whatever you can do to help yourself stay on the lightworking path, and protect yourself from all the negative energies that be, please do so. We are very fond of our wonderful clients and friends that we have met along the way in this lightworking journey, and we look forward, with the help of our friend and Gypsy, Lady Luna, to continue to be able to help more and more people on their journey to see the truth and changing the collective consciousness to a more positive and loving world. All of the casting has been done! You do not need to have any experience or skills to reap the benefits of this beautiful bracelet. All you need to do is keep it near you and you will begin to easily decipher truth from lies! This offering is for the bracelet only.